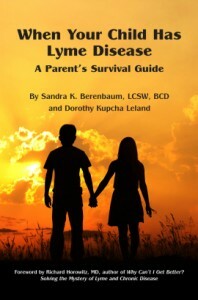 Dr. Kenneth Liegner, pioneer in the diagnosis and treatment of tick-borne diseases, and author of the powerful and informative book In the Crucible of Chronic Lyme Disease, will be the keynote speaker at the 10th Annual Lyme Connection Patient Conference and Health Fair in Danbury, CT, Thursday, May 19. Doors open at 5pm for the fair, with the conference taking place from 7pm-9:30pm. In addition to the presentation by Dr. Liegner, the Courage in Patient Care Award will be presented to Dr. Charles Ray Jones. The event will once again be held at Western Connecticut State University (West Side campus), 41 Lake Avenue Extension, Danbury CT. For more details please download the event flyer here, or visit Lyme Connection’s website and Facebook page. During the day portion of the program from 1-4pm, Drs. Lee Cowden and Eva Sapi will give presentations. The evening portion will begin with the annual Health Fair at 6pm, followed by the Spring Seminar with speaker Dr. Richard Horowitz. A leading Lyme doctor, Dr. Horowitz has, among other accomplishments, written an outstanding book entitled Why Can’t I Get Better: Solving the Mystery of Lyme and Chronic Illness. In addition, Pat Smith, president of the Lyme Disease Association, will be presented with the Courage in Advocacy award — a well-deserved honor for her excellent leadership of over 20 years, tirelessly advocating for the needs of patients. The event is free and open to the public. For more details including directions, please visit the following link: Lyme Connection Conference and Health Fair.